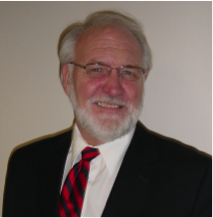 For 40-plus years, Larry Small has provided leadership and oversight in corporate and regulatory compliance, laboratory management and staffing, information services, sales, billing, revenue enhancement, finance, quality improvement, employee training, and laboratory outreach. His clients include academic medical centers, community hospital systems, clinical/pathology laboratories, and billing companies Mr. Small has founded and managed several consulting firms, prior to which he has served as Corporate Compliance Officer and Director of Compliance and Billing Services for Chi Solutions, Ann Arbor, MI; Director of Corporate Compliance Operations for Quest Diagnostics, Madison, NJ; and Laboratory Director of the Iowa State University Veterinary College, Ames, IA. Mr. Small holds an MS degree in Physiology and Pharmacology from Iowa State University. This entry was posted in Associates on March 14, 2014 by David Novis.